You might have wished you’d had this yesterday morning. Not a problem. Drinkel Hangover Prevention also has products for the post booze horror show. AKA morning. 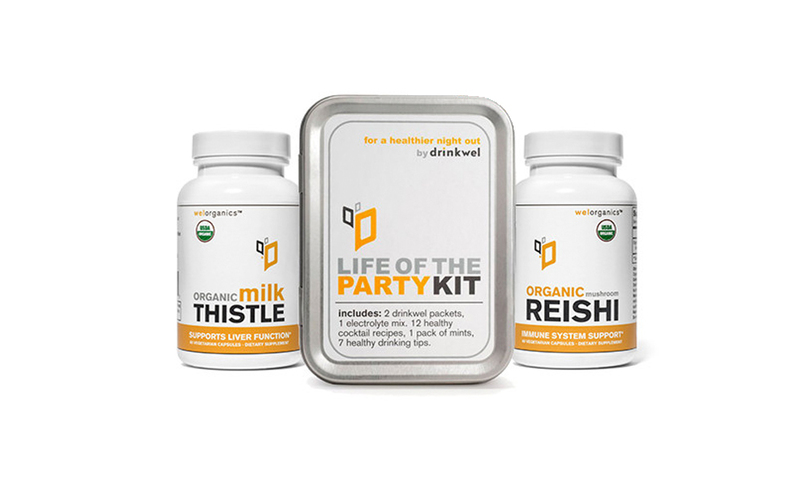 With names like reishi mushroom, milk thistle, glutathione antioxidant and N-ACETYL-CYSTEINE, Drinkwel has perfected recipes of multivitamins and dietary supplements to easy the symptoms of your hangover or prevent one all together. You can still get that greasy double cheeseburger, you’ll just need a new excuse as to why your eating it. On a walk up to Jean-Talon Market we walked into a store that at first seemed to be all duck. As we made our way to the front counter we discovered the Ils En Fument Du Bon sausage counter. Technically they classify themselves as charcuterie but it’s their sausage selection that grabbed us by the taste buds. Scanning the counter our tongues watered over tequila lime, foie gras and spaghetti sausages. There’s spaghetti IN the casing. Crazy. These are only three of about 30 different concoctions. All of them twisting your brain around contrasting ingredients. 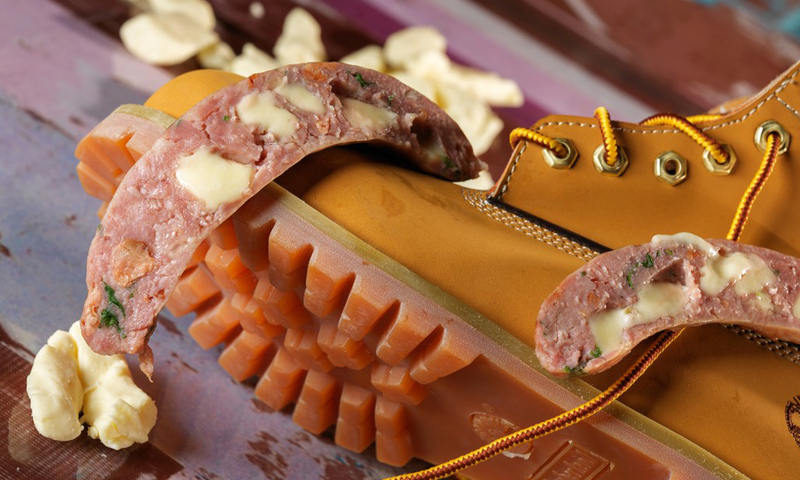 The picture above does the perfect job of explaining the owner and the vibe of this artisanal brand. If these guys aren’t on VICE by summer someone in editorial blew it. Discovering a good food mashup is like that time when you were five and saw Donald Duck talking to Mickey Mouse outside the Italy pavilion at Epcot Center. Syrup is amazing on its own. Oozing out of trees during a specific time of year, Canadian’s are famous for the intricate forest plumbing systems that run the liquid gold into their sugar shacks. Equally awesome and particular is Bourbon. The heritage, process and ingredients are heralded by drinkers the world over. The guys at Dorset decided to smash these two together creating Maple Bourbon Syrup. 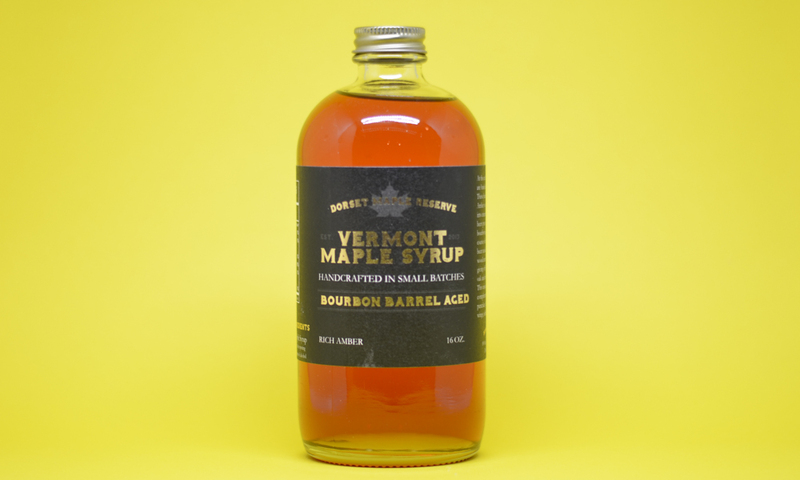 The sweetness and viscosity of maple syrup with the barrel aged flavor of bourbon makes Sunday morning brunch a Saturday night party and that’s just once use of this glorious nectar. Today’s the day of atonement. I only know this as an honorary member of “the tribe” having sat through my fair share of Yom Kippur dinners. This is the meal that breaks the fast of the past 24 hours. This was the day that sent all my Jewish friends home from soccer practice early to beat sundown in high school. The thing is, my jew crew didn’t really do the fasting part very well BUT they definitely did the breaking part excellently. The typical Jewish cuisine gets a poor rep. This, under the trained taste buds, is a falsely perpetuated opinion perhaps the same way Portlanders say it’s always grey in Stumptown. For context and as a case in point, I’ve sampled some incredible homemade gefilte fish that can go toe to toe with any cultural cuisine. To this end, Jewish food needs better press and a little more marketing oomph to jump the hurdle into main stream. 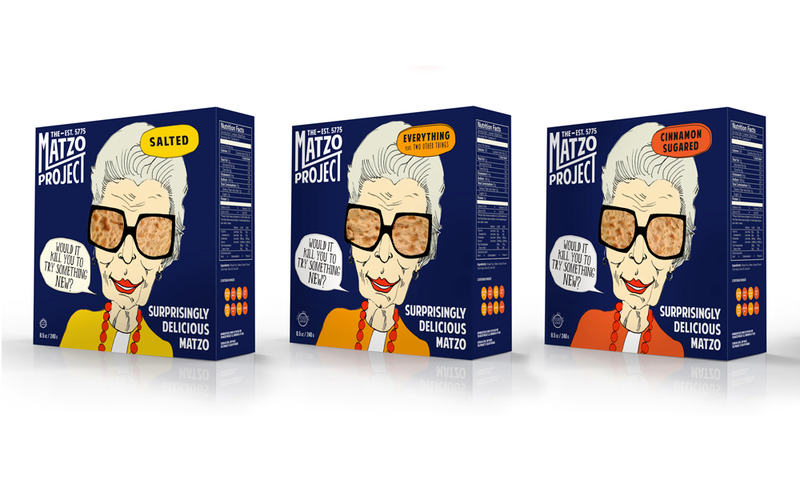 Ashley Albert is spearheading the effort with her artisanal matzo company from Brooklyn, The Matzo Project. Salted, cinnamon or everything (as in bagel) are your delicious choices. You can’t pick wrong. We’ve tasted them all. You might be asking why I didn’t post this last week. That’s the point you should be stocking this year round. Eating it instead of chips or Triscuits. Plus, those of you who partake in the festivities, you’ve got Sukkot in five days. Stock up. If you know us, you know burgers are something of a perfected item in our purview. When we discovered the Burgabox we danced a ground meat jig and hollered to the burger gods. We’ve written about box concepts in the past. We love the idea that our on-demand world can now summon boxes of quality food to our door from a few swipes of a smartphone. The thing Chuck and his cofounders at Boston Burger Company didn’t like was how healthy the contents of most box delivery companies tended to be. Having made their way into the restaurant biz with 28 over the top burger concepts, they thought dropping the ingredients into a box so people, not in Boston, their home turf, could try their amazing product was genius. We agree. We we’re so intrigued that this ex-postal worker, ex-real estate guy and ex-bartender started a phenom restaurant dynasty we dug deeper. Read the burger names and tell me you don’t want to hop an Amtrak to Cambridge this afternoon. Some of our stand out favs, WHISKEY TANGO FOXTROT, KILLER BEE and VERMONSTER. That last one is offered in box form and boasts sautéed apples & red onion, bacon, maple mayo, sharp cheddar on top of an 8oz patty. 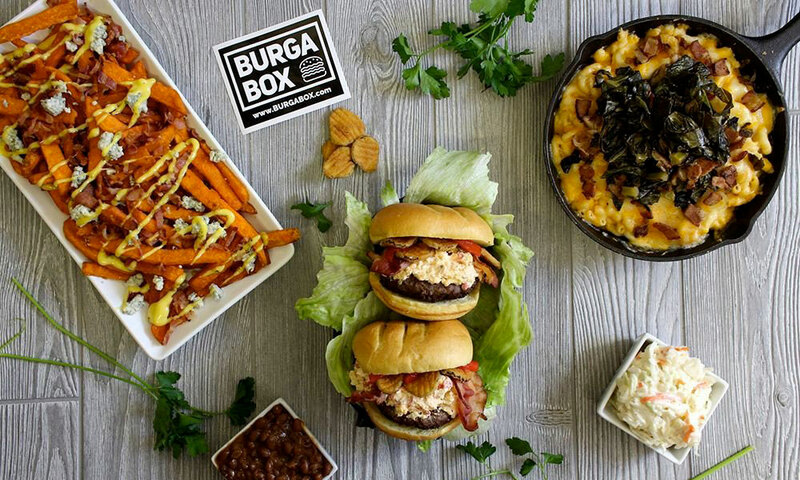 In the box you get two or four burgers (depending on the pkg you choose) along with 2lb Pulled pork mac & cheese, 1lb Chili wedge fries, 1lb Chili wedge fries, 8oz side of Boston baked beans and 8oz side of homemade cole slaw. In case math isn’t your strong suit, that’s 6lbs of food goodness ding donging on your front stoop. We’ve already ordered two subscriptions just in time for the grill season kick off.